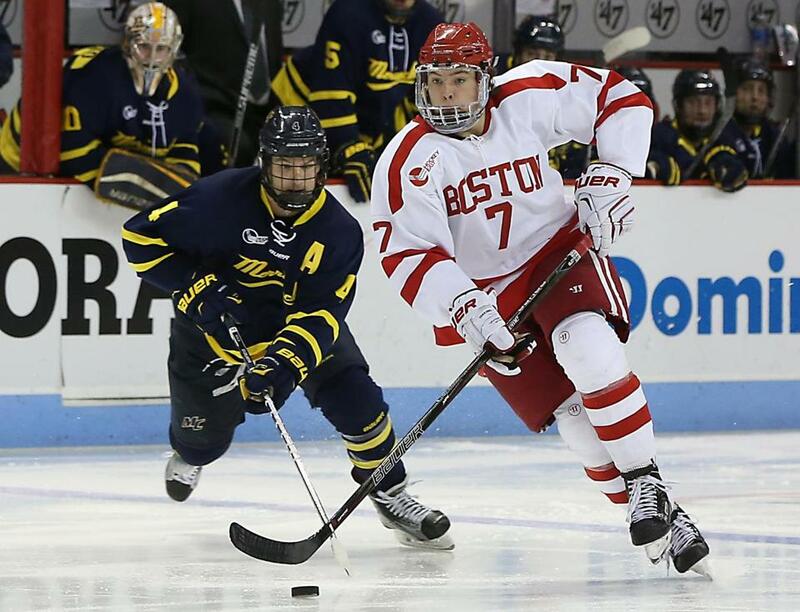 Charlie McAvoy, who recently signed a pro contract with the Bruins organization, was named a CCM/AHCA First Team All American at the awards ceremony on Friday evening at the Aon Grand Ballroom at Navy Pier in Chicago (site of the 2017 Frozen Four). In 38 games this past season, McAvoy had a 5-21-26 scoring line and one of those goals sent the Terriers to the NCAA West Regional Final. The defenseman from Long Beach, NY was the only sophomore on the East Team and the third consecutive Terrier to be included on the All America First Team. Matt Grzelcyk was named to the 2015 and 2016 teams and Jack Eichel was named to the 2015 team. 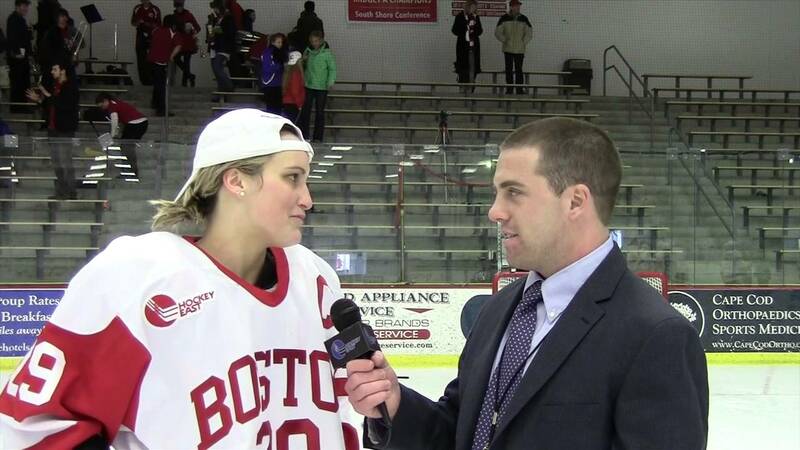 Clayton Keller, who is now playing with the Arizona Coyotes, was the recipient of the Tim Taylor Award, given to the top freshman in Division 1 NCAA hockey. The Swansea, Illinois native completed his first and only season in Scarlet and White with a 21-24-45 scoring line in 31 games. In two NCAA regional playoff games, Keller made a major impact. He tallied two assists against North Dakota, including the game-winner in OT; and he opened the scoring with a beautiful backhander against Minnesota Duluth. Keller had 1.45 points per game (7th best in the country) and four short-handed goals (2nd best in he country). The Tim Taylor National Rookie of the Year Award is named after the late Yale (28 seasons) and US Olympic team (1994) coach. 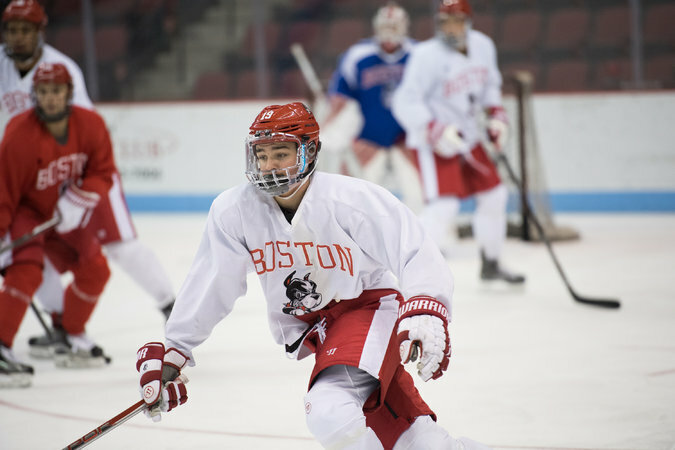 Other Terriers who have received this distinction include Kieran Millan (2009) and Jack Eichel (2015). ● 2018 recruit Jake Wise tallied his 9th assist on a power play goal, but the USNTDP U-17's lost to Youngstown, 4-2. ● 2017 recruit Shane Bowers assisted (29th of the season) on the game-winning goal and later scored his 22nd goal, as the USHL Waterloo Black Hawks defeated Fargo, 6-2. Hank Crone, another 2017 recruit, earned his 35th assist for the Force. Sophomore Jakob Forsbacka Karlsson, assistant captain of the 2016-2017 Terriers, signed a pro contract with the Boston Bruins (who made him their second round pick in the 2015 NHL draft) on April 2nd. Since Forsbacka Karlssson only had a student visa and not a work visa, he had not been able to play in an actual game. However, on Thursday, JFK received immigration approval and will be making his NHL debut against the Washington Capitals this afternoon at TDBank Garden. Former Terrier greats Marie Philip Poulin (above) and Jenn Wakefield (below) each assisted on the two Team Canada goals in last night's IIHF Women's World Championship final, but Team USA prevailed in overtime. Poulin and Wakefield each earned silver medals.